Water Services design is an integral aspect of every project, and it is critical that the correct design of a water service be undertaken to ensure a clean supply of potable water is available throughout development. PJ Wright & Associates will advise on all aspects relating to water supply and services for your project. 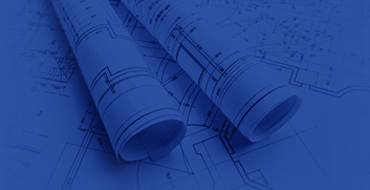 Our team can design an engineered solution and provide expert advice to meet your specific requirements. Our engineered designs for cold and hot water services fulfil the requirements of AS/NZS 3500 and the requirements of specialist equipment suppliers. At PJ Wright & Associates we adhere to ‘Best Practice design principles. We resource various publications and research data from a number of recognised industry and professional bodies to ensure that the design solution exceeds all requirements and maintains the maximum achievable product life. Assuming adequate water supply pressure without proper investigation can lead to systems being undersized and result in expensive water storage and pressure system being required on a project. PJ Wright & Associates adhere to strict design procedures that require the agency water mains to be tested at the initial development phase at establish an accurate benchmark for design to be commenced. We also specify that ongoing periodic testing is undertaken throughout the construction stage to ensure any discrepancy is identified prior to it becoming a major issue. PJ Wright & Associates take all design considerations and client needs into account to develop an effective solution that will be both economical and efficient. From supply pressures to hot water generation, all services can be designed and developed to meet the expectations of clients, ensuring that they will meet all relevant codes and standards. Water quality is an issue that affects all aspects of water system designs, and it affects pipe and valve material selections, types of hot water systems and equipment selections. In Australia, water quality has recently been determined as one of the overriding factors in the failure of materials causing extensive damage and resulting in considerable additional expense to rectify. “The Australian Phenomenon” is a term that has been referred to internationally by manufacturers when describing the effect of water supplies on their products and we are fully aware of all issues on this matter. PJ Wright & Associates take all these variables into account when developing a design solution that is based upon ‘Best Practice design principles. Sustainability is increasingly becoming an integral design consideration for all developments. More emphasis is now being placed on the reuse of rainwater and other recycled water supplies to address environmental and economic issues. PJ Wright & Associates will provide expert advice and designs for all facets of water treatment for potable, non-potable and recycled water systems. An incorrectly designed hot water system can result in inefficient hot water service that may not be able to fulfil the demand or performance required by the end users. If hot water systems are oversized, then this will result in higher energy losses and increased costs. PJ Wright & Associates will engineer a hot water system based on the most up to date research and industry standards ensuring the hot water service design solution performs effectively and efficiently. PJ Wright & Associates can provide advice in regards to sustainable and efficient hot water generation and have experience in solar, gas, reject and heat pump systems, as well as traditional electric systems. PJ Wright & Associates has undertaken a large range of project from shopping centres, offices, schools, large residential developments and single residential developments. • Domestic and commercial cold water designs. • Domestic and commercial hot water designs. • Tempered / warm water designs. • Water storage and pressurisation system designs. • Water treatment system designs. • Non-potable and recycled water designs. • Irrigation and landscape reticulation water designs. • Product and material selection.